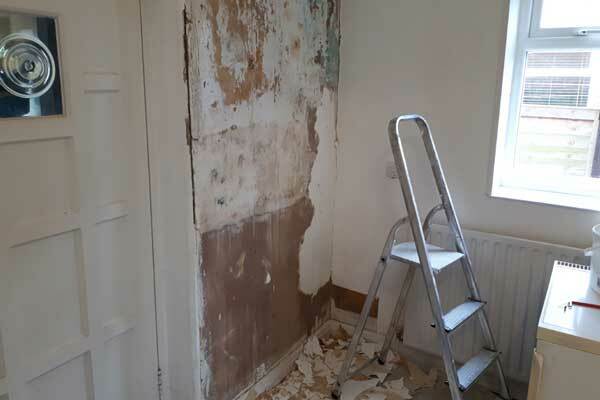 The owners of this 80-year-old semi-detached house knew that there was a problem with damp and mould. The house was cold, draughty, hard to heat and keep warm. 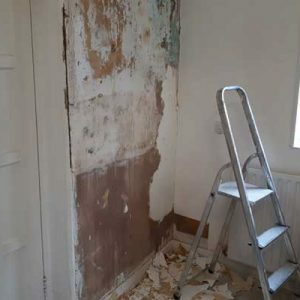 The property was rented out and the tenants had complained about black mould and various issues relating to damp within the bedrooms. 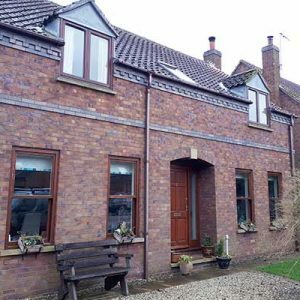 Why was an independent survey and assessment required for this property? 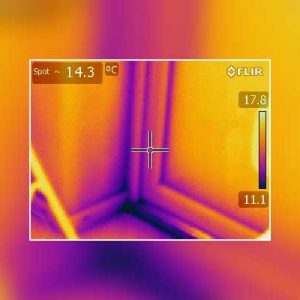 We were able to carry out a detailed survey that clearly demonstrated where the heat was being lost and where the cold areas were – and what improvements could be made to the heating and ventilation, all factors that would help solve the damp problems. 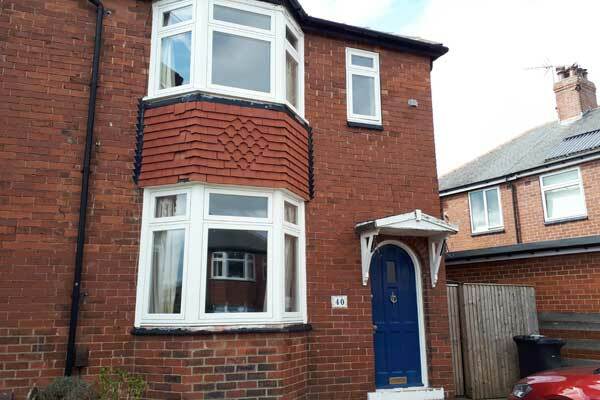 It was found that the external walls were not fully insulated. There were missing sections of loft insulation at the edge of the loft space. There was no extractor fan in the bathroom. 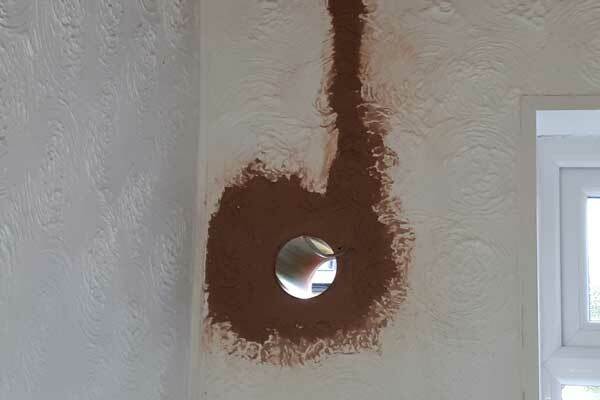 There was no extractor fan or cooker hood extraction in the kitchen. 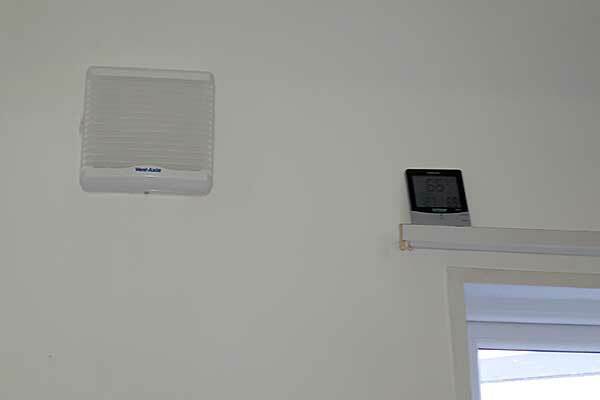 Ventilation was very poor, and the heating could not warm up the home quickly. 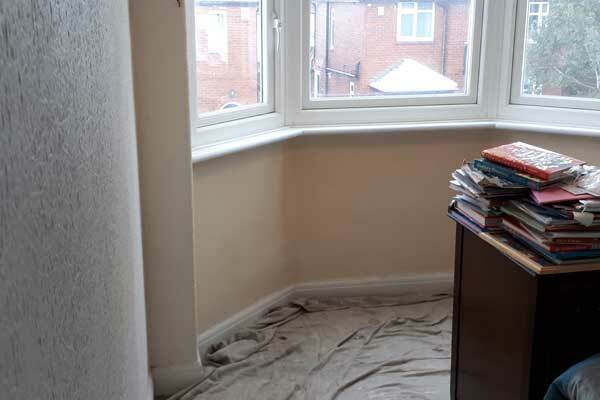 Black mould was an issue to a small bedroom and other window reveals. Humidity in the house was high. 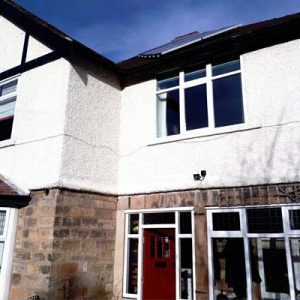 Further survey to determine if the cavity walls were suitable for insulation, and if appropriate arrange a quotation for cavity wall insulation, using the EPS Bonded Bead system. Improved and better fitted loft insulation. Thermal hood /covers for the spot lights, to ensure that loft insulation was correctly fitted. 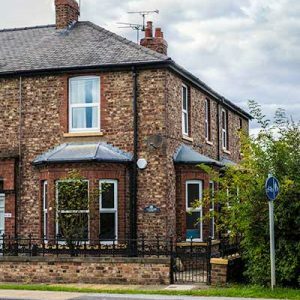 External wall Insulation was recommended for a large bedroom bay window, applied from inside the bedroom to minimise further heat loss. 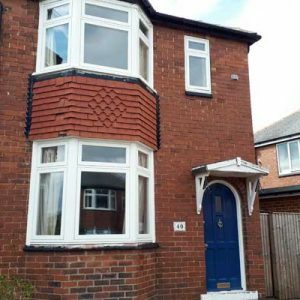 All window reveals were cleaned and insulation was applied to the cold surfaces. 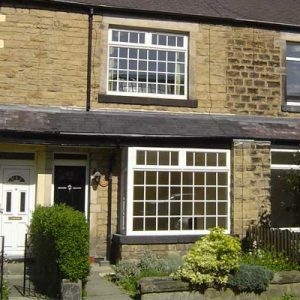 New PVCu A-rated energy efficient windows recommended as an when windows are to be replaced. 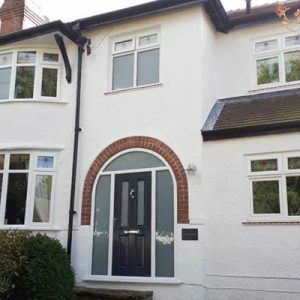 Further thermal lining to the external walls was to be carried out prior to decorating. LED lighting suggested as and when required. Some radiators needed to be upgraded and sized correctly – this work was planned to take place when the boiler was next serviced. 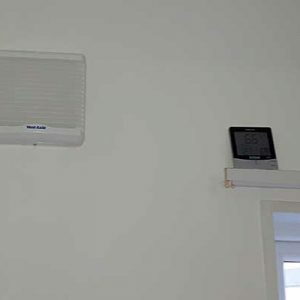 High quality humidity sensing extractor fans were installed and set up to work automatically when humidity was high – this applied to the bathroom and the kitchen. 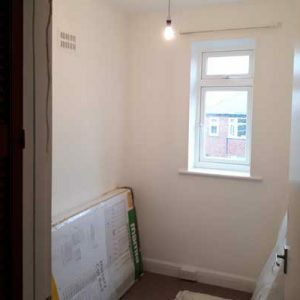 The property was given a deep clean and walls and surfaces were sterilised. 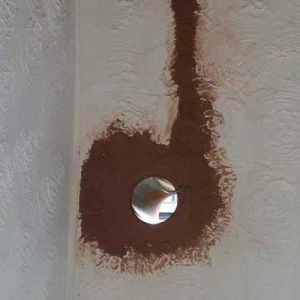 Mould resistant paint and anti-condensation systems were recommended to prevent future problems. 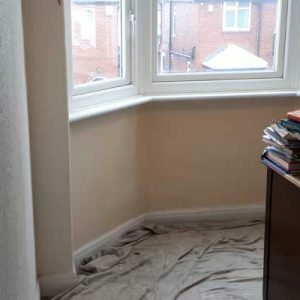 The Landlords were not based locally, in fact they were based nearly 200 miles away, and would have found organising this work very difficult. 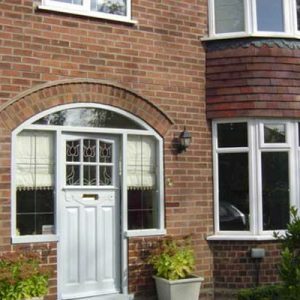 We helped by providing a managed project and all work was co-ordinated by our service. 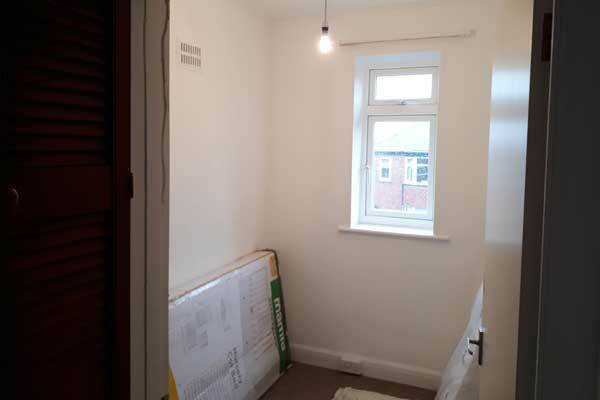 All work completed and organised and guaranteed by Retrofit Projects and the team.